Drummer Style Scott joined Adrian Sherwood's influential On-U Sound dub label in the late '70s and played on Sherwood's influential releases as part of the New Age Steppers (with vocalist Bim Sherman, horn player Deadly Headley, melodica player Dr. Pablo, and a large guest lineup). Scott later formed his own band, Dub Syndicate, which soon became – with the possible exception of African Headcharge – On-U Sound's most popular act. Though not a group per se, Style Scott and producer Sherwood explore reggae, dub, and dancehall by collaborating with some of reggae and dub's greatest talents, including Lee "Scratch" Perry, Skip McDonald, U-Roy, and, in a bit of posthumous sampling of an old friend, Prince Far I (on 1990's Stoned Immaculate). Debut album Pounding System (1982) and the following year's One Way System were both reissued in America by ROIR. A project with Dr. Pablo titled North of the River Thames didn't earn a domestic release, but 1985's Tunes from the Missing Channel was licensed to EMI. An import-only project with Lee "Scratch" Perry called Time Boom 'De Devil Dead followed in 1986, but 1990's Strike the Balance appeared on the Island subsidiary Mango. 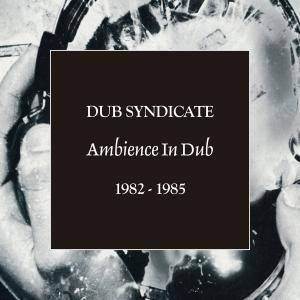 On-U Sound, in conjunction with the American label Restless, began an ambitious reissue effort with three volumes of the Classic Selection series (similar to African Headcharge's Great Vintage series) but continued to make new Dub Syndicate projects such as From the Secret Laboratory and Stoned Immaculate available only on import. Restless, though, did eventually give Stoned Immaculate and 1994's Echomania domestic releases.